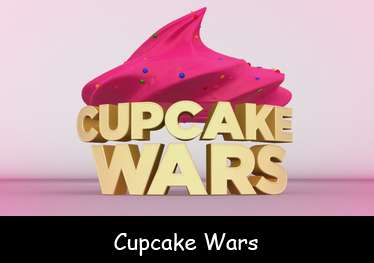 Imagine being a contestant on Cupcake Wars or Iron Chef America. The frenzied audience cheers for you and your cooking skills wow the judges. You win prizes and money, and you just might land your own cooking show. Well—this outcome might happen for a few lucky ones, but most contestants go home happy, but no richer than they started. How did food contests start anyway? Before World War II, published cookbooks were a rarity. Home cooks prepared recipes they’d learned from family and friends. New recipes came from potluck dinners and get-togethers. In 1949, that all changed at the Grand National Recipe and Baking Contest. Participants vied for the national honor, as well as the $50,000 prize. This contest became the Pillsbury Bake-Off, one of the longest running and most profitable cooking competitions in history. The competition is stiff, but today, the first prize winner takes home $1 million. The recipes still appear in the Pillsbury Bake-Off cookbook. Other recipe contests soon followed the Pillsbury Bake-Off. Food producers, such as the beef, chicken, or egg industry, paid for and sponsored the contests. The purpose of the contests was to advertise a certain product, such as chicken or eggs, by having contestants device recipes using those products. Early recipe contests were popular because they gave women a chance to use their skills and perhaps earn extra money at a time when most women didn’t have careers outside the home. Cooking shows winners don’t necessarily make fancy recipes. The recipes are often for simple comfort food—cakes, cookies, pies, and casseroles. They might have a surprise ingredient that makes them special or a new technique. While television cooking shows have taken center stage, you’ll still find plenty of old-fashioned recipe contests. Anyone can send in a recipe, even kids, and most contests cost only the price of a stamp. Some contests require the purchase of a product. There’s even a website dedicated to recipe contest fans. Cooking contest shows have become hugely popular. In 2002, only two cooking contest shows were on the air. In 2014, 16 shows aired. Most popular shows include Food Network Star, The Worst Cook in America, and Mary Berry and Paul Hollywood, the charming judges on The Great British Baking Show, have become household names both in the U.K. and the U.S. Question: Can kids enter contests? What’s the secret to winning? Answer: Many of them have no age limit, so anyone can enter although Cooking Contest Central offers a list of contests specifically geared for kids. Winning is to a certain degree, a matter of luck. Increase your odds though by entering small contests, reading and following the directions, trying your recipe several times, and tweaking a classic recipe to use special ingredients and techniques. Declan, Tobin. " Cooking Contests Facts for Kids ." Easy Science for Kids, Apr 2019. Web. 23 Apr 2019. < https://easyscienceforkids.com/food-contests/ >.